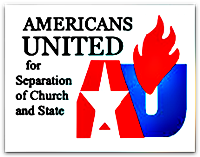 February 14, 2015 in LGBT, separation of church and state. January 27, 2015 in Alternative, LGBT. October 26, 2010 in Atheism, LGBT, Mormon, Religion. October 26, 2010 in Fundamentalist, LGBT, Politics, Religion. October 23, 2010 in Legislating morality, LGBT, Politics, Religion.